Gammel Dag and other activities………. This past weekend kept me on the move. Saturday, DH and I were on our way to Peterson, MN, (about 17 miles away) to check out their annual event, “Gammel Dag” (“Old Days”). This little town, population 202, is situated on the picturesque Root River in S.E. Minnesota. Their event is always somewhat overshadowed by other more major summer celebrations in 2 neighboring cities. 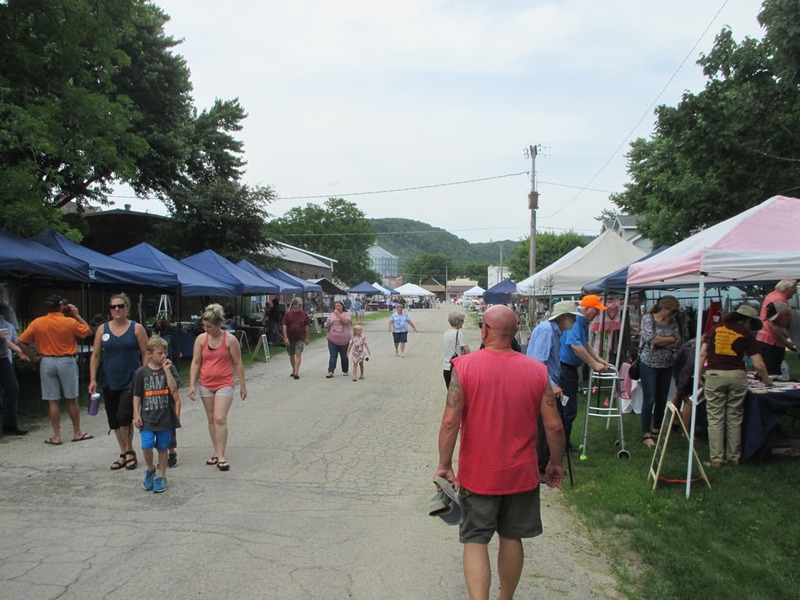 This allows the town’s various events to be much more quaint and typical of bygone days. 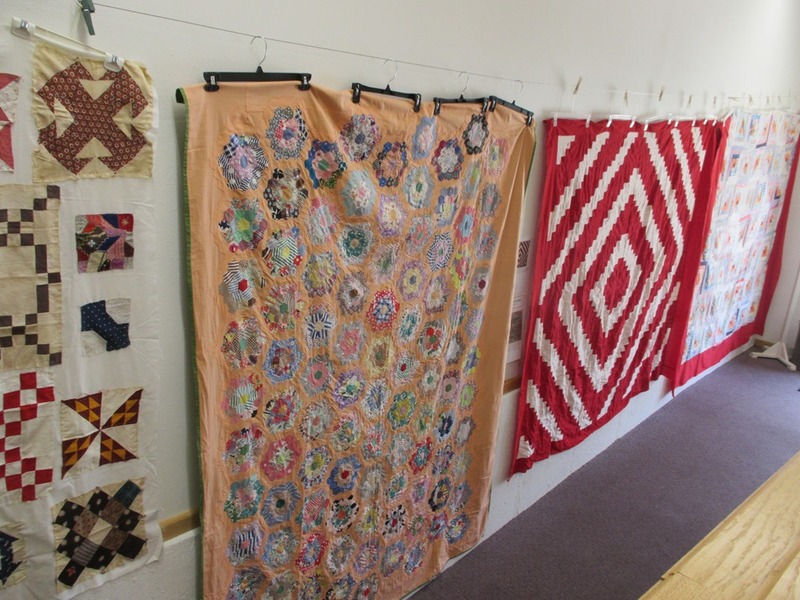 The quilt show was small but presented perfect examples of hand-stitched quilts done by local residents (who are pushing that century mark!). 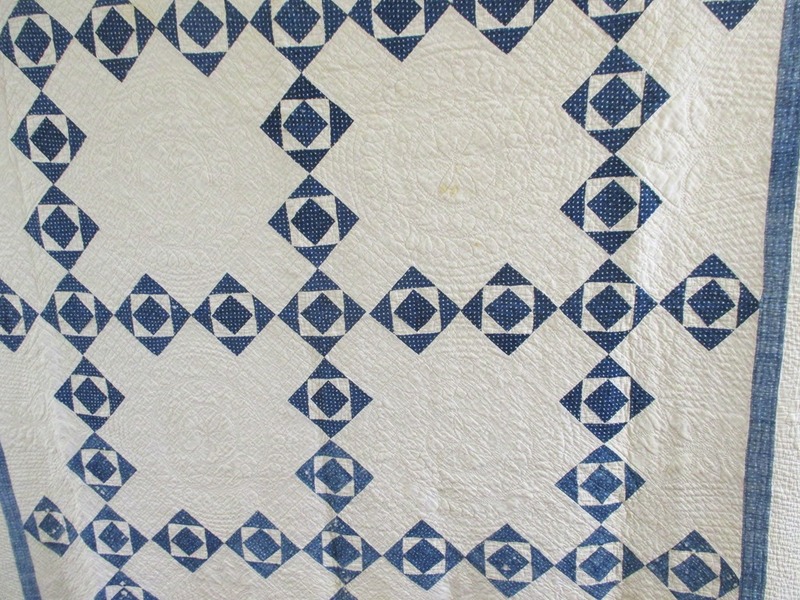 There’s been some talk, in my Facebook groups, of the trend to have the final quilting be on the “excessive” side and overshadowing the piecing. 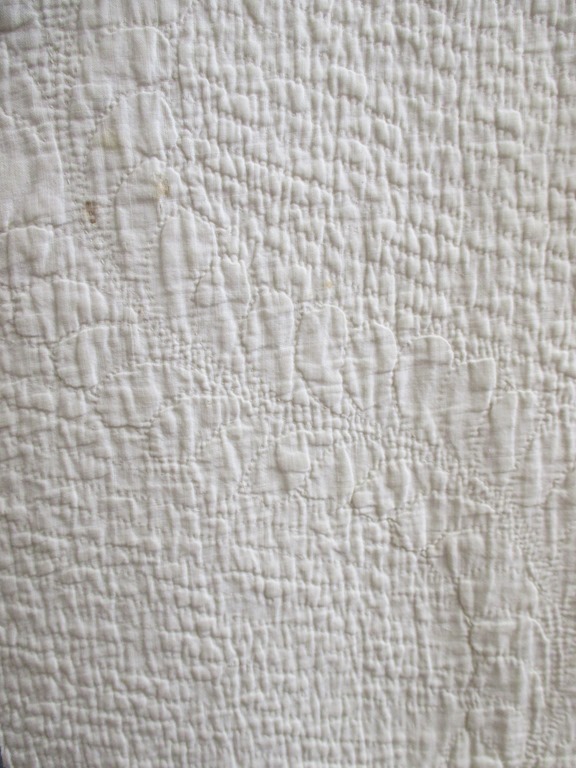 I’m not sure if these thoughts are coming from those whose focus is piecing, or not, but heavy amounts of quilting stitches is not a new phenomena and, if done with the appropriate materials, results in a finish that is as soft as those with less stitching. 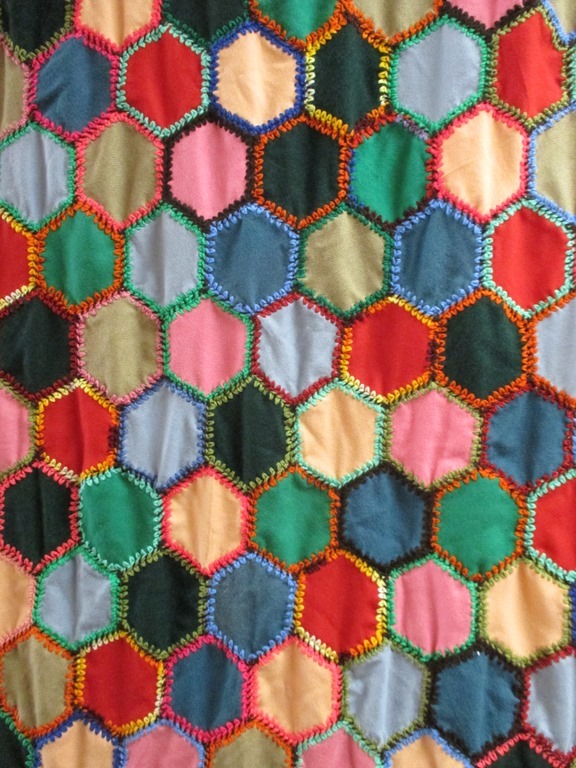 Here’s an example of a vintage quilt that has the most amazing hand stitching that I’ve ever seen!!!! Enlarge this photo and be amazed! 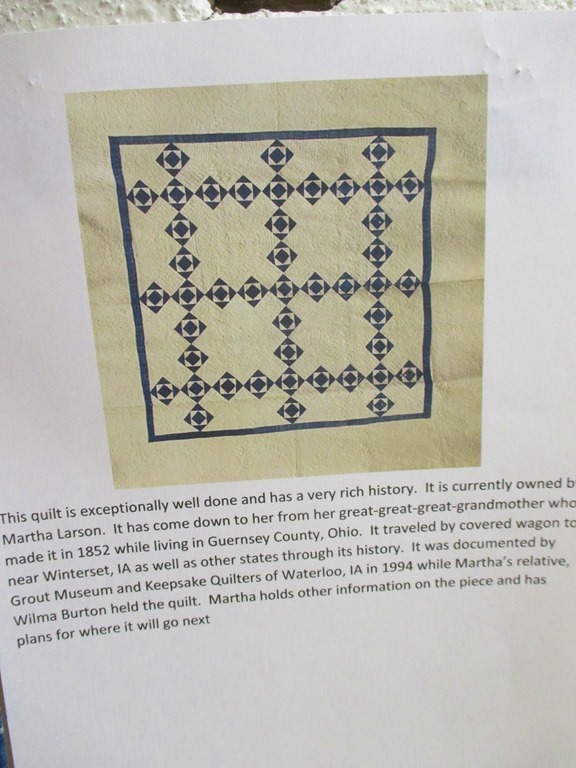 The documentation, along side the quilt, gives further information on it’s maker, etc……..
Leaving the quilt venue, we strolled down one of the vender lined side streets……. Examples and demonstrations of hardanger, rosemaling, knitting, stained glass and stitcheries of various kinds. 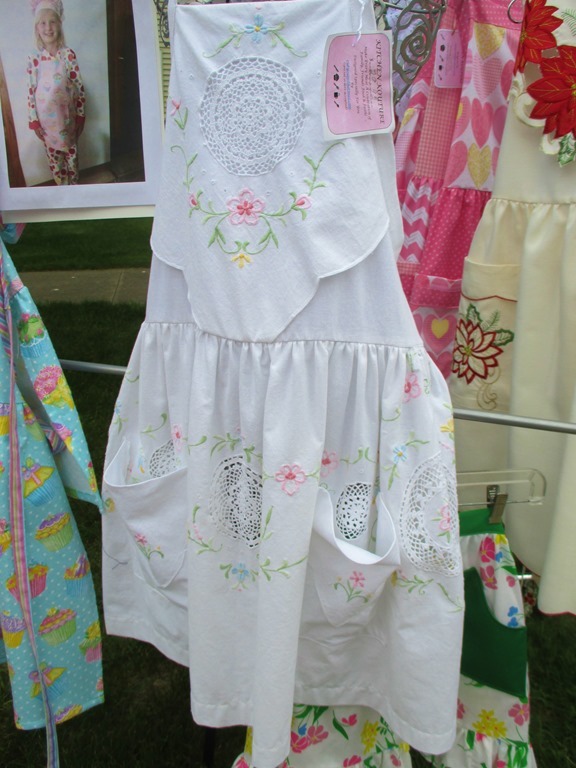 This apron caught my eye (wonder why??)….. 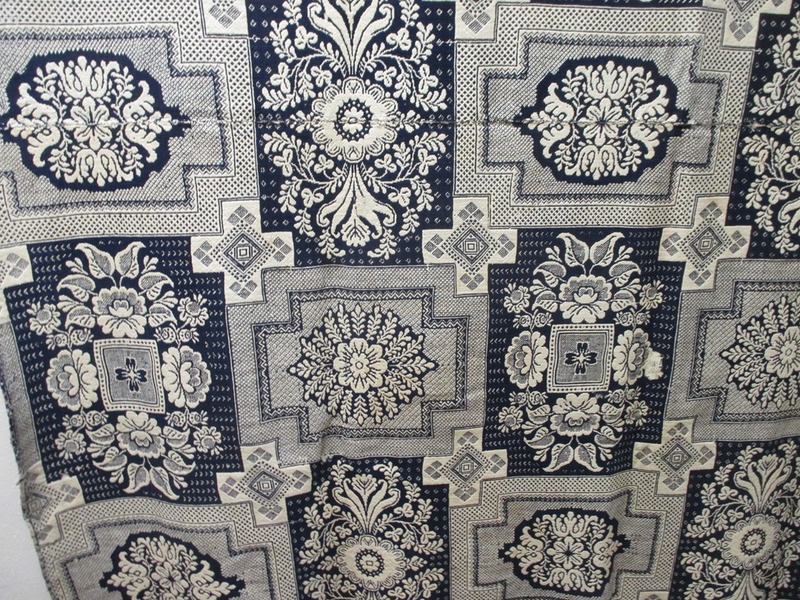 It was beautifully made using a gorgeous embroidered/open-work tablecloth! The day was overcast (a very good thing!) and the temps were in the upper 90s as we headed to the ball field to watch a vintage baseball game. This is a “gentleman’s” game and the uniforms were long sleeved and warm!!! The hat must be on at all times and, if lost on a run to base, the player is penalized a quarter! The rules are quite different from today’s game. No gloves are worn…by anyone! It was a very relaxing day and one without any real schedule. How unusual for me/us! Now…..back to some stitching. Til next time…….. This entry was posted in Uncategorized and tagged Gammel Dag Fest. Bookmark the permalink. 10 Responses to Gammel Dag and other activities………. 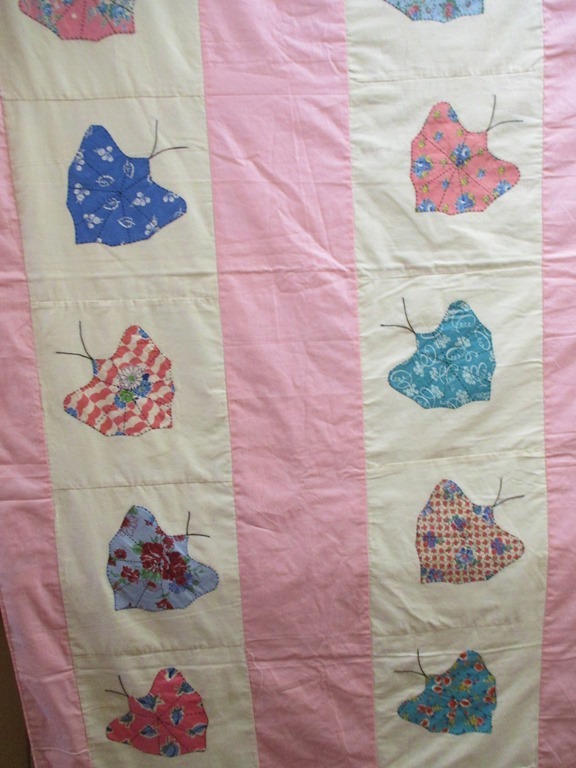 Those vintage quilts are beautiful. 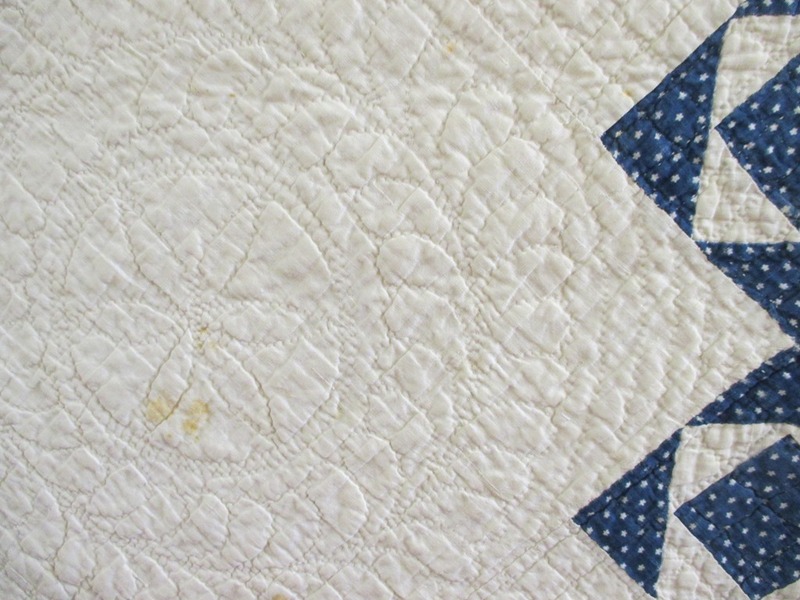 I love seeing how quilters of the past designed their stitching paths. I agree and I do remember doing hand quilting but not near as complex (or skilled) as was at that event! Sticking to machine fmq these days! i would love this small town celebration. those quilts, wow, what skill in handcrafting. Amazing, yes! And am so grateful that quilt organizer (Liz) takes the time to document each so thoroughly. A wonderful legacy for the town!!! You would have loved this event. There were so many other activities that we missed (while we watched the ballgame). Thanks for sharing. I would have loved to see the quilt show. Small is ok as it makes you examine and view each quilt more carefully. I stopped in at the MN Quilt Show in St. Cloud, MN, this weekend, and while I enjoyed the quilts very much, it did not allow me much time per quilt. Old time baseball is fun. 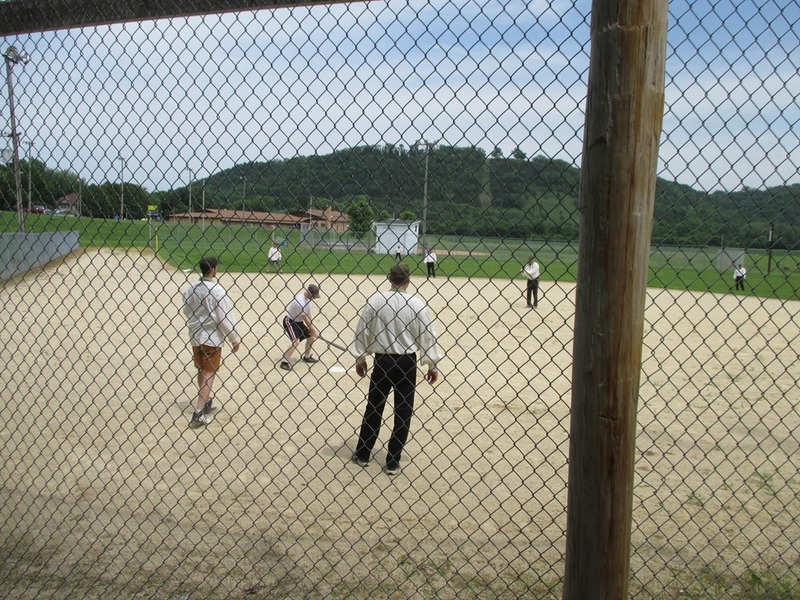 We celebrate July 4th in Historic Forestville every year and they always have baseball with 1860 rules. And, I suspect, the baseball teams are some of the ones we saw! Highland Prairie “Hayseeds” will be playing the Rochester “Roosters”(?) on July 4 at Forestville. We watched the Highland Prairie team play the Decorah (IA) “Dodgers” at Peterson last Saturday! The event had such a leisurely atmosphere! 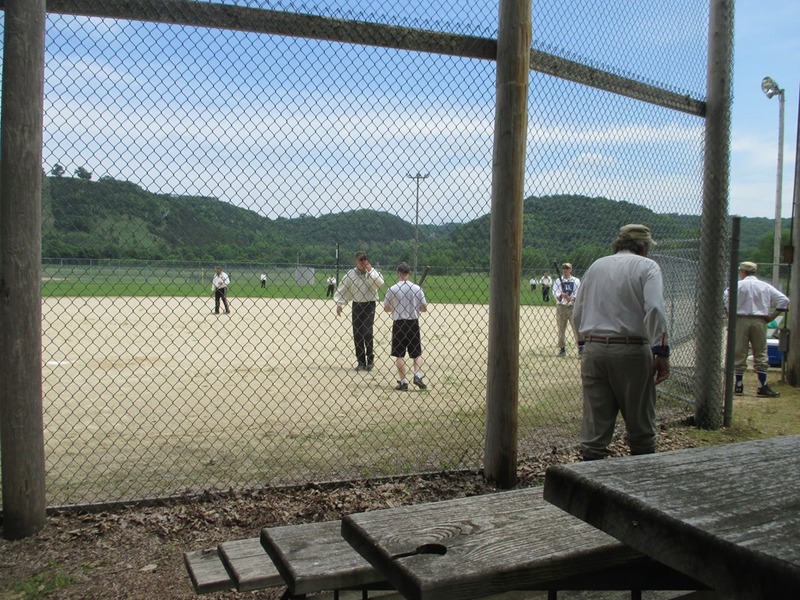 It’s been a while since we had been to a vintage ballgame…..very much enjoyed (especially since our seating was tree shaded–felt/seemed cooler. LOL!). Such fun. We bike the Root River Trail and know Peterson well. Don’t think we’ve ever been there when the festival was underway. We really appreciated the “smallness” of it. We’re just tired of the chaos that comes with some of the larger events and the tendency to focus on drinking, rock bands and modified tractors!!!! Getting old, I guess….sigh…….